The machine runs a little warm on full load - up to 75 degrees Celsius - but hasn't flinched otherwise. Would love to hear from anyone else still running one of these machines for gaming. Glad to hear about the system, that's really impressive on the 1070 working! I am sure other users of the E520 will find this info useful. Thanks for sharing. This only works and only with Power supply Update EVGA 750B1 110-B1-0750-VR because this is the first 70NSH6DS2HRZ SINGLE SLOT GTX 1070. Yes, you are correct. I should have mentioned I have a Coolermaster 650W PSU that handles the Katana just fine. The other Gotcha's are important. Otherwise people may believe you can install ANY GTX1070 which is incorrect. Unfortunately here in the USA this card is not available to be ordered yet. Otherwise I would have already purchased 1. 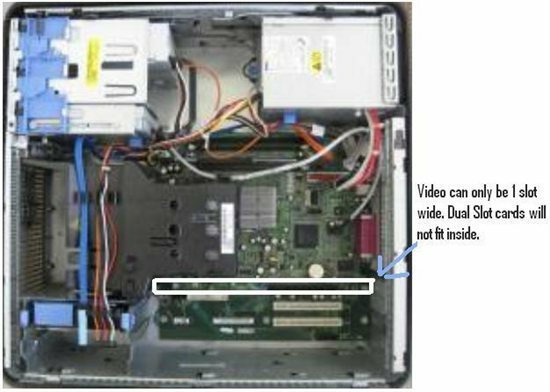 Indeed, I have spent the last 8 years sourcing high end single-slot cards for this machine, including the Afox HD7850 single-slot. 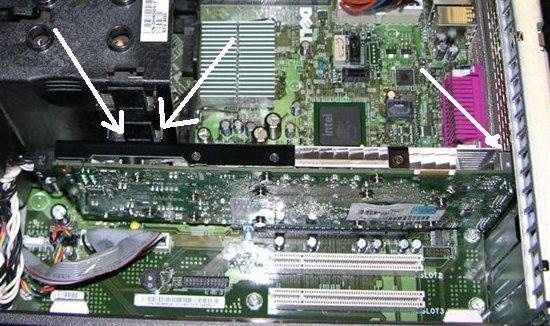 I have seen on other Dell forum posts where people have gone to extraordinary lengths to make double-slot cards fit, all involving various degrees of surgery on gpu heat sinks, back plates and the CPU cooling shroud. I have managed to avoid all of that. I am surprised that the Katana is not available in the US. It was easy for me to source here in Brisbane, Australia, at my local computer parts store. However, I have found single slot gaming cards increasingly difficult to find as they are only produced by a handful of manufacturers. 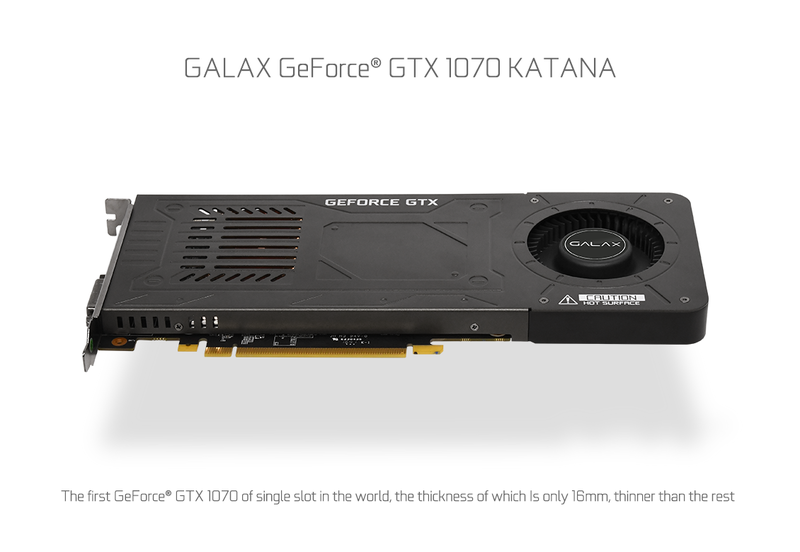 My last two cards; the Katana GTX 1070 and a single-slot GTX 750 Ti, were both from Galax. I believe that Inno 3D make a single-slot gaming card but I could not find it in Australia. I also have an XFX Radeon RX460 installed in my second PC, although it would not work properly in the E520; the drivers refused to install correctly. That is consistent with my experience of some AMD cards in the past although not the Afox. Never had a problem with Nvidia GPUs.